WHO WILL CREATE TOMORROW’S DESIGNS? MEDIA? FASHIONS? CUISINES? From video games and movies, to magazines and living spaces. From the clothes we wear, to the food we eat. It all started in the mind of a creative professional. There’s a growing demand for innovative thinking, and the creative revolution is opening new opportunities every day. With a focused education from The Art Institute of Tucson, you can become a part of it. The Art Institutes system of schools offers a range of master’s, bachelor’s, and associate’s degree programs, as well as diploma and certificate programs specializing in the creative and applied arts. We also offer a variety of online, evening, and weekend learning options, so there’s an education solution to fit your schedule. And our professional-grade technology can give you the practical skills to match your ideas—helping you transform your creative energy into a fulfilling career. To learn more, submit the form below or call 800-527-5492. The Art Institute of Tucson is one of The Art Institutes, a system of non-profit schools throughout the United States. Programs, credential levels, technology, and scheduling options vary by school and are subject to change. Not all online programs are available to residents of all U.S. states. Some institutions in The Art Institutes system are campuses of Argosy University. The Art Institute of Tucson, 5099 E. Grant Rd., Suite 100, Tucson, AZ 85712 © 2018 The Art Institutes. All rights reserved. Our email address is materialsreview@aii.edu. *Will you need a visa? *How soon would you be interested in starting classes? Would you like to update your profile now? An account has been created for you. Below is your login information. 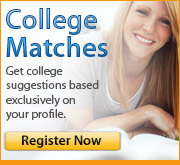 Would you like to complete your College Planning Profile now? Your information has been successfully submitted. Return to Colleges Interested in Me.